Every year more and more water related deaths are reported. In 2011 there were over 1,500 drownings reported. Out of those 1,500, 620 were children and approximately 70% being related to pools or outside bodies of water. When looking at natural disasters, in 2005 Hurricane Katrina majorly impacted the Mississippi Gulf Coast. Its power was also seen when water over-came man-made protection levees and flooded the City of New Orleans. This disaster caused more water related deaths than any other natural event in previous years. 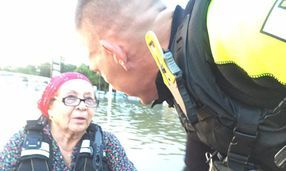 In 2011, Mother Nature once again showed her fury with massive flooding on the Mississippi River that affected several states including Mississippi and Louisiana where thousands of water rescues were performed. Then in 2012, Hurricane Isaac, a category I hurricane, impacted Mississippi and Louisiana once again with major flooding to areas that had not seeing flooding of this type in more than 100 years. Over the last 10 years, scientist have predicted that water levels will continue to rise thus creating more water related events that will need highly trained individuals in order to perform difficult water rescues. While climate change has been researched for almost a decade, NOAA released a statement to the press in late 2012 that the ice caps are melting faster than previously predicted. 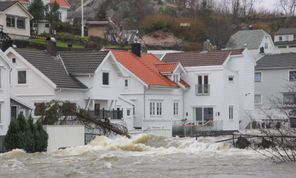 According to the NOAA report, water levels worldwide will gradually increase to approximately 5 feet 2100. That is approximately 2-3 feet by 2063. What does this actually mean? If you take a look at Florida, more than 107 cities will be inundated by water if and when the sea level rises 3 to 5 feet. This will not be the only state drastically affected; Louisiana will have 65 cities inundated with water with the same amount of rise. As disasters increase, we as rescue personnel need to have education and knowledge of hydrology, as water is a powerful tool usually underestimated by responders and resulting in more deaths. 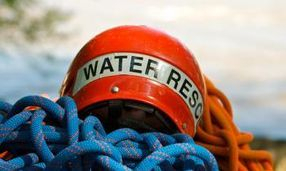 These water rescue courses were designed, developed, and implemented by experienced individuals in water rescue and in accordance with NFPA 1006, 10212 and 1670 Standards, taught and upon successful completion, to enhance and improve water rescues. There are no NATIONAL STANDARDS in Water Rescue. Therefore, STARR uses the National Fire Protection Association (NFPA) Standards as a foundation guideline to provide students and instructors with the information and knowledge through research to help save lives and reduce loss. Our water rescue program also provides the mandated training required to be a Federal Emergency Management Agency Swiftwater/Flood Rescue team member at all levels. In addition, STARR has developed a all inclusive water rescue program whereby the classes are taught in accordance with a Program Administration Manual (PAM), using visual (spatial), Aural (auditory), Verbal (linguistic), and physical (kinesthetic) methods of teaching, then each student is tested on their knowledge retention through written and practical testing stations. After the course is completed each student must fill out an instructor / course evaluation form which helps STARR ensure the water rescue courses and instructors are maintaining a high level of training education. Our Water Rescue Training courses are currently being reviewed by the Institute of Credentialing Excellence (ICE) and by the American Society for Testing and Materials (ASTM). This has been made possible using the educational background and experience teaching at higher educational institutions. What does this mean? Simply, it means that our Water Rescue Training Program will have been credentialed by a recognized third-party accreditation service validating the course. Successful completion of the water rescue course means each student receives not only a Certificate but a certification card with photo to ensure continuity of security. These certifications are good for 2 years and the student can retain the certification with a minimum amount of training either documented by their departments Training Officer or taking a formal refresher course through STARR. Our instructors are not just water rescue technicians, but rather Certified International Fire Service Accreditation Congress (IFSAC) Fire Instructors ranging from level I to III, have been swift water technicians for over 10 years, trained as Emergency Medical Responders, are monitored annually by STARR's Training Coordinator, and completed the Water Rescue Instructor course. As an Instructor Candidate, they are expected to develop their personnel skills and knowledge not only through the training received but also through each assessment course. Furthermore, all instructor candidates must complete an individual Course Outline / Action Plan incorporating all required training objectives both Enabling and Learning. Meanwhile ALL training records are maintained in a secure location for 5 years. Lastly, to confirm our water rescue training programs have the most up-to-date technical information our Advisory Committee and lnstructors reviews the water rescue programs every 5 years, using NFPA Standards and proven practices through the industry, to maintain a higher standard of training when there are NO 'National Guidelines' regarding Swiftwater/Flood Rescue training. STARR believe this is what makes our training different, unique, and better than most water rescue training programs when no 'true standards' in the industry exist.